We today reveal our 2018 Mumbrella Awards shortlist. But there are a few media agencies missing. Mumbrella content director Tim Burrowes explains how we’ve dealt with the MFA boycott of local publishers. We today publish the shortlist for this year’s Mumbrella Awards. You’ll find it at the end of this article. At first glance, it’s the usual list of great agencies, top brands and high-achieving media companies. Indeed, I think it may be our strongest ever mix of creative agencies, and certainly features our most competitive shortlist yet for Marketing Team of the Year. Clemenger Melbourne, CHE Proximity, The Monkeys and Cummins & Partners are among those with the strongest showings. And without wanting to show favouritism by revealing which I’m thinking of, I’m delighted that some of my favourite ads of the year have made it through. It will also be fascinating to see the major youth brands of Junkee Media, Pedestrian, BuzzFeed and Vice head-to-head in the same competition for the first time. And we’ve got our longest ever shortlist for Marketing Team of the Year, as we attempted to reduce 30 strong entries to the eight you see listed. But if you look closely, there’s something missing. There aren’t many media agencies. I’ve known this would be the case for a few weeks now. So I’ve had time to think about how to deal with it. The main reason I’m writing this article is to explain our thinking. It’s fair to say that the week back in March when we learned that the member agencies of the Media Federation Australia had agreed to boycott all domestic awards programs for 12 months was not the best. It came as part of the backlash to a number of awards organisers perceived to have failed to deal with the issue of Atomic 212 making dubious winning claims in a number of competitions. In all honesty, I lost some sleep. Not so much for the commercial hit we’d take – while organising awards is an important part of our commercial model, media agencies only made up about 15% of the entries last year – but because it felt unfair. As regular readers may remember, it was Mumbrella that carried out an intensive investigation into the activities of then Atomic CEO Jason Dooris, and the many unsustainable claims he had made in various awards contests. 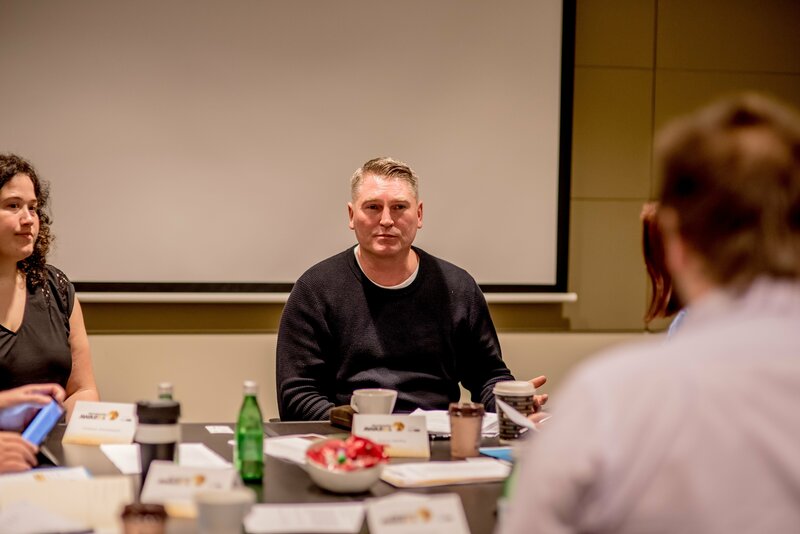 And last year’s Mumbrella Awards was the one contest where our juries asked the tough questions, and didn’t award Atomic anything after they heard Dooris’ answers. The timing of the boycott – just days before the closing date for our awards – also left us with few options. With the call for entries live and the year’s criteria already published, it was too late to consider suspending the Media Agency of the Year and Media Campaign of the Year categories. What made it hurt is that the awards are one of the things Mumbrella does of which I am most proud. Over the years we’ve never taken the short cuts you might see elsewhere. We’re the only one that judges every single category with presentations to a live jury. The judging day is a stressful, logistical nightmare as hundreds of people come and go through the Hilton. There are easier ways of making a dollar. We’re the only ones who send our juries to see the agencies in their offices for Creative Agency of the Year and Media Agency of the Year. In previous years, that involved flying and accommodating the juries in Auckland and Melbourne. Last year the judging cost us $43,000. If we eliminated that live presentations stage, we’d save that. But we’d also end up with a weaker process. So the Hilton will once more be heaving for our judging day on May 23. And we’re also one of the few awards that won’t give clues ahead of time about who’s won. I’ve lost count of the number of calls I’ve had from agency bosses promising to buy extra tables if they’ve won, and insisting that the other awards will tell them in advance. And yet, after a few days of anger and lost sleep, I woke up to the hard fact: The market is always right, and the market (or a portion of it) wasn’t going to be entering the Mumbrella Awards. And that failure is down to us. 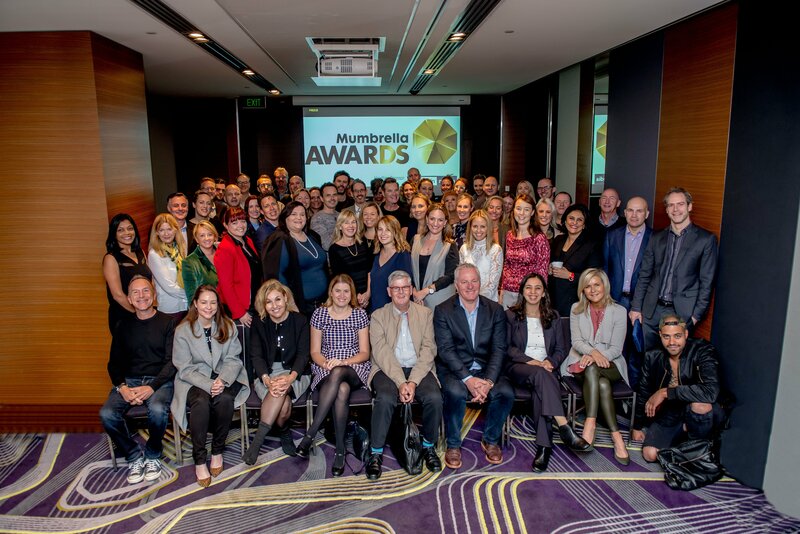 We’d failed to communicate well enough about what sets the Mumbrella Awards apart. Which made it too easy for us to be lumped in with the rest when the MFA made its decision. We’ve also been asking ourselves whether our relationships were close enough with these media agencies, as we didn’t see this coming beforehand. That’s a lesson we’ll learn, and work on. I suspect, by the way, that part of the decision by the MFA was also a pragmatic one. A lot of agencies are having a tough year. And if they can all save money on entering awards without a rival getting an advantage, then that’s a relatively painless saving to make. But of course, rivals to media agencies also come from outside the MFA. So although you will see MFA members mentioned on the list below – including Havas, Bohemia, Starcom, Ikon and Mediacom – many of those featured in the media categories are not traditionally media agencies at all. Which is going to make things interesting. We were determined to maintain our standards. So you’ll see that the shortlist for the Media Agency of the Year category consists of two agencies. And in the spirit of full disclosure, that’s out of just two entries. But both entries have been before the jury who chose to shortlist them in the knowledge that if they did so, a winner would be chosen. If they hadn’t been satisfied, we wouldn’t have done it. The jury – made up of the same jurors as last year, so they know what a winner looks like – will now visit both agencies in person. And in the Media Campaign of the Year, the shortlist features agencies you’d generally think of as creative rather than media agencies. For media agencies facing their current existential challenge, ceding this turf may prove to be short sighted. To those shortlisted below, good luck. If you make it on to the stage at The Star on June 28, you’ll have just been through Australia’s toughest media industry awards judging process, and you’ll deserve it. And to the MFA members who missed out this year: You’re welcome to come back next year to try to wrestle back your territory from your creative rivals. More details on the 2018 Mumbrella Awards and ticketing information can be found here. Or….. you discovered Atomic had lied on their entries and did not cast them out. Yes, you didn’t award them anything but you also did not disqualify them. That pissed a lot of people off and will have been a contributing factor to the boycott decision. This entire article has a really odd tone – both self-aggrandising and whiny at the same time. Well, maybe you need to acknowledge that your awards took the easy way out and rather than doing the right thing and publicly disqualifying Atomic for bare faced lies, instead allowed them to remain officially shortlisted in the categories in which they had supplied false data. Thanks for the feedback. You’ll see that in previous articles we disclosed in some detail the process we went through with Atomic’s entries. That included sharing with our jury the information about questionable claims that was available to us. The jury used that to ask specific questions, and as a result of those answers, chose to recognise other winners. As we revealed some time ago, we also invited the juries to vote on disqualification and after much debate they chose not to. Indeed, in one category, Atomic survived disqualification by four votes to three. Having created an independent jury process, and empowered them to vote in an informed way, it would have been wrong for us to then overrule our jury. If that pisses you off, then I’ll have to live with that. And now we know who are KPI-ed on awards. Think about the business equation Tim. You’re a small-mid sized agency. Entering awards is incredibly costly in head hours, running into the thousands. It takes minds off paying work, then you start to play the numbers game and say, enter 3 categories. It’s like a gambling addiction, and it gets worse. The winning bet *might* mean you gain new business. But it might not too. Who do you let go when you don’t win to manage the cost/loss? The junior who had high hopes, now dashed? How do you manage the sense of let-down among staff? How do you justify all that effort, for what? An award that’s completely forgotten a week later? An awards that looks like narcissism to your clients, because it is? Awards are a healthy little earner for media brands like Mumbrella, but frankly putting that time and effort into winning and retaining new business is a far better bet. I think we need to cut down on the more subjective awards. I’ve seen “people” and “culture” awards manipulated by massaging staff survey results and including schemes that only 1 or 2 people participated.. Let’s just stick to the work from now on. And effective work at that.